Physio Ecosse is a purpose built clinic in the heart of the West Lothian countryside. The team is made up of quality driven Chartered Physiotherapists registered with the Health and Care Professions Council. Physio Ecosse are a team of quality driven Chartered Physiotherapists registered with the Health and Care Professions Council operating to the highest professional standards from purpose-built premises in the heart of the West Lothian countryside. We offer an integrated, active and evidence-based approach to the assessment and treatment of neuro-musculoskeletal disorders (like neck pain and low back pain) and believe that education is key to sustaining long-term improvements in your pain and function. Our Physios all have excellent clinical skills and extensive post-graduate training. We are committed to on-going development and education through regular in-service meetings and external courses. Clare holds post-graduate certificates in Spinal Manual Therapy and Acupuncture and a post-graduate diploma in Orthopaedic Medicine. Clare graduated from the Robert Gordon University, Aberdeen in 1998 with a BSc Hons degree in Physiotherapy. She started work in both NHS and Private clinical settings to hone her skills in the assessment and treatment of patients with a wide variety of conditions. She gained extensive experience working and travelling with individual athletes and team sports. From amateur to professional and high-performance levels, she has a thorough knowledge of the issues associated with the management of acute injuries through to long-term rehabilitation and return to sport. Clare holds post-graduate certificates in Spinal Manual Therapy and Acupuncture and a post-graduate diploma in Orthopaedic Medicine. She has worked as a Clinical Educator and Clinical Tutor for Robert Gordon University and regularly lectures – including to GPs on the NHS Education for Scotland MSK Medicine courses. Over the last 15 years, Clare has established a busy practice with a reputation for excellent patient care. When not working, Clare likes to snowboard. 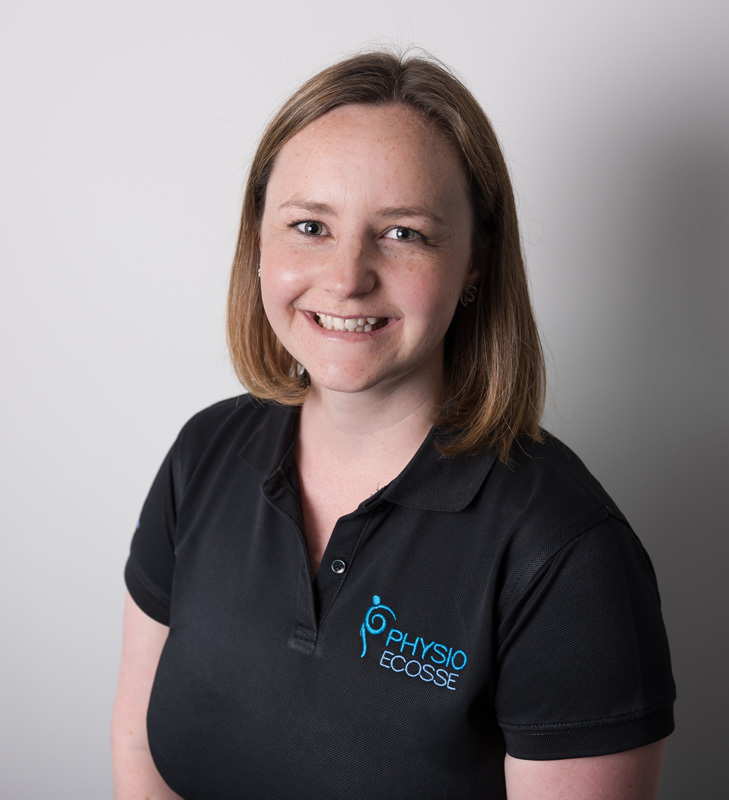 Laura has worked solely in musculoskeletal outpatient settings in both the NHS and privately to become an Advanced Physiotherapy Practitioner. Laura graduated from Queen Margaret University Edinburgh in 2008 with an MSc in Physiotherapy. Since then she has worked solely in musculoskeletal outpatient settings in both the NHS and privately to become an Advanced Physiotherapy Practitioner. Laura has a special interest in all things horse related and in 2015 gained her Post Graduate Diploma in Veterinary Physiotherapy. She has achieved great success for her clients by treating horse and rider combinations as she finds that issues with the horse often resolve quickly when the rider’s imbalances and weaknesses are addressed. When not working, Laura likes to compete her own horse Boss in grassroots Eventing and Working Hunter competitions. Laura is an ACPAT Certified Professional. Stephanie recently completed her Acupuncture training and is a full member of the AACP and is currently completing further study in Peripheral Manual Therapy. 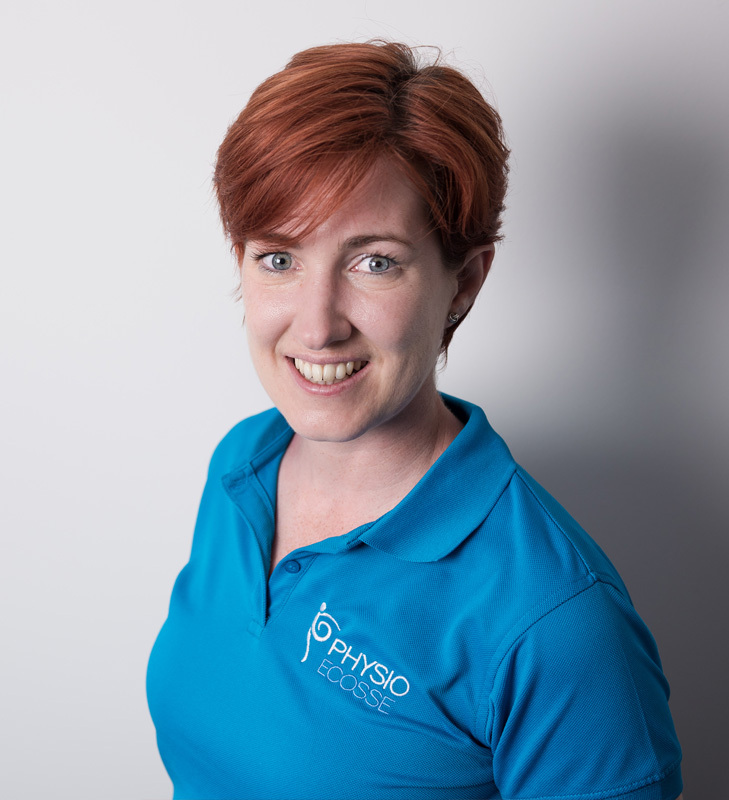 Stephanie graduated with a BSC (Hons) in Physiotherapy from The Robert Gordon University, Aberdeen in 2005. She started her career in the NHS, rotating around a variety of specialties and hospitals including musculoskeletal outpatients, stroke rehabilitation, ITU, cardiac care, elderly rehab, neuro rehab, community care, surgical and orthopaedics. She enjoyed working alongside other colleagues, as a Clinical Educator for physiotherapy students. In 2010, family life took her to Texas, USA. Following accreditation of her UK qualifications, Stephanie was awarded an equivalent Masters in Physical Therapy and began work in a large teaching hospital in Dallas. Baylor University Medical Center in Dallas, is home to one of only four, adult Level 1 Trauma Centres in the Dallas area, covering 21 counties and more than 5 million lives. Whilst here, Stephanie worked within the trauma and elective orthopaedic teams, alongside some of the top surgeons in the State. After 4 years in Dallas, it was time to return to bonny Scotland where she took up her post at Physio Ecosse. Stephanie holds post graduate certificates in Spinal Manual Therapy and Bobath Technique – Assessment of Normal Movement and Management of Tone. She is certified as a trained fitter for Saebo Dynamic Splints. 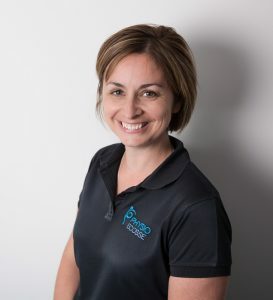 She has recently completed her Acupuncture training and is a full member of the AACP and is currently completing further study in Peripheral Manual Therapy. Outside of work, Stephanie enjoys spending time with her family who keep her busy! She enjoys walking with her dog, skiing, swimming, baking and eating good food! 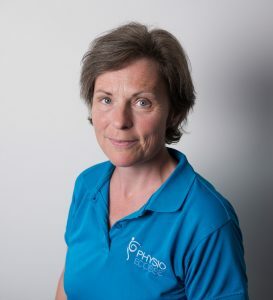 Sue is qualified as a Physiotherapist from Queen Margaret University College, Edinburgh in 1999 and works in both the NHS and private practice specialising in MSK injuries management and rehabilitation. A former graduate of Loughborough University, Sue qualified as a Physiotherapist from Queen Margaret University College, Edinburgh in 1999 and works in both the NHS and private practice specialising in MSK injuries management and rehabilitation. Post graduate qualifications in orthopaedic medicine and acupuncture and experience working alongside athletes and sports clubs together with 16 years in orthopaedic out-patients ensures a comprehensive approach to patient care – from education to treatment to the establishment of long-term rehabilitation programmes for injury prevention. Sue also has a specialist interest in hand injuries and is a member of the British Association of Hand Therapies (BAHT). Specific BAHT training in areas such as exercise, preventative care, aids to daily living and ergonomic consultation enables patients to return to an active and productive lifestyle following injury, disease or deformity to the hand. When not working, Sue enjoys spending time with her family and pursuing a range of outdoor sports. I have been using Clare and her team at Physio Ecosse for many years and the reason is simple: Real expertise underpinning good diagnosis followed up by clear and simple advice on the recovery journey. On top of this is the friendly and positive welcome that always greets you. Those of us that love sport and physical activity will always need support when injuries occur, whether through an accident or from overuse. I get this from Physio Ecosse and always leave confident in the knowledge that I am in good hands. I cannot speak highly enough about Clare and her team. As a keen (accident prone) golfer, I have had reason to seek Clare’s help for a number of different reasons over the years and I am always extremely happy with the professional and friendly way that I am treated. Clare and her team have been my physiotherapists weekly and latterly twice-weekly for over six years now. The whole team at Physio Ecosse have worked tirelessly to aide my long and painful recovery from a Brain Stem Stroke. Without their support, professionalism and dedication, my physical and mental recovery would never have reached the levels they have. Both friends and work colleagues of mine have subsequently used the services of Physio Eccosse following injuries and have been extremely impressed with the sheer level of care and attention they were given. In my opinion, no other Physiotherapy team come even a close second to Physio Ecosse. I have been getting Acupuncture at Physio Ecosse for a few years now to help with my MS pain and it’s been life-changing, made a huge difference to my pain levels. Friendly, professional staff and the clinic is immaculate. Would highly recommend. I would like to thank Physio Ecosse and Steph in particular for helping me with my knee joint problems in advance of my ski-ing holiday. I especially like the way she takes time to assess the issue and then talks me through the treatment. What really made my holiday a success was Steph’s advice on building up my ski-legs and muscles. So grateful for this as it really meant the whole week went super well as a result.